Here we are in a milestone year for Ugly Bustards Footy Tipping, our 20th year!!!!!! How could 20 years go by so fast? It is a year you want to win. 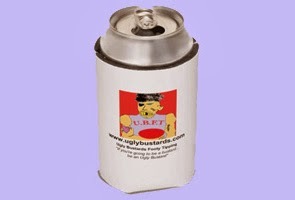 Do you have the right ingredients to be an Ugly Bustard? Retired Tasmanian Umpire Griggsy made a huge contribution to his superannuation plan and Ugly Bustards Footy Tipping history with his back-to-back win in the 2018 Joker Ladder. It was the 3rd time Griggsy has taken home the Premiership Cup, also winning in his debut season of 2011. He is the first punter to win 3 flags, edging ahead of the inaugural Champ Arnold Layne (2000, 2010), Denlash (2005, 2008) and Sam Griggs (2013, 2015). yes all youse Uglybustards the 2018 season is well and truly underway as we're 5 rounds down and its already a tipsters nightmare!!! This week we see the presentation of the 2017 Uglybustards Cup to last year's winner Griggsy, who will be doing a lap of honour at the Round 6 Geelong Vs Sydney game at Kardinia Park this Saturday 28th April at 1:45pm. Be sure to tune in so you don't miss it.